My name is Mary, aka mom, mama or mommy. In my life, the first thing I am is a mother. We have five lovely children that range in age from 5 to 19. The love of my life and father of my children, Todd, encourages and supports my endeavors to finally fulfill my dream of sewing for others. 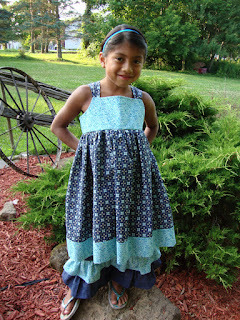 I have been sewing since I was about 9 years old. My mother was a stay at home mom, which allowed her the time to share her talent (and love) with me. It was her that inspired me to learn as much as I could, so I could ensure that the talent of being crafty would live on through my own children for generations to come. 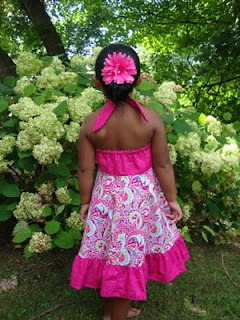 In July of 2012 we opened our Etsy Shop… Sewn From the Heart 4 U. The name of our shop was carefully chosen based on how I feel about each and every piece of clothing that I create. “Handmade” to me is defined as taking the time to pour your talent and passion into a project until it is completed. Someone else enjoying your handmade creation… success. My creations are made specifically for little girls. 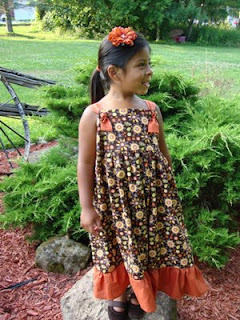 I try to create outfits and dresses that are unique, friendly to the playful life of children and will also earn many compliments. I realize that anyone can go to a department store and purchase a dress or outfit. I can also guarantee you that they are manufactured; they are not created, with love and joy in each and every stitch. Sewing is my passion and each and every little outfit is a work of art for me. I truly hope others will enjoy my handmade creations as much as I and, of course, my daughters do.